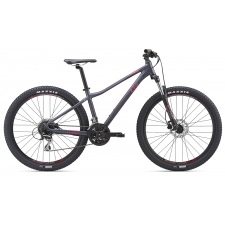 Frame: New Trail Women's, SmartForm C2 Alloy, SAVE, BOOST spacing, Tapered Headtube, Flat Mount Rear Brake, Internal Cable Routing. WHERE PERFORMANCE BEGINS. If you're ready to fall in love with mountain biking, Tango is your bike. Packed with features and technology derived from over 30 years of designing bikes for the world's top racers, the Tango sets the standard for fast, confident fun. The best performance value on the mountain, ready for anything from XC racing to full-blown trail duty. 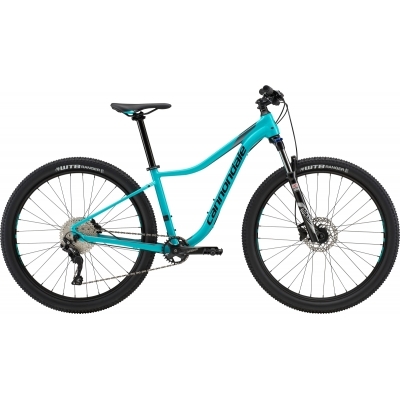 Active or aspiring mountain bikes looking for an affordable upgrade or a first bike that's a cut above. CANNONDALE SMARTFORM C2 FRAME: Cannondale's aluminium experise means that these frames are nicer that our competitors best offerings. Lightest in-class , with exceptional stiffness, durability and smoothness. And of course with our famous Lifetime Warranty. SAVE REAR TRIANGLE: Our proprietary flattened and shaped seat stays provide a surprisingly smooth ride. WOMEN'S TRAIL GEOMETRY: Strikes the ideal balance between racy quickness and confidence inspiring stability. Perfect for exploring your limits. WOMEN'S SPECIFIC COMPONENTS: Women's saddles, slightly narrower handlebars and short-reach brake levers specifically chosen to achieve the best fit for female riders. 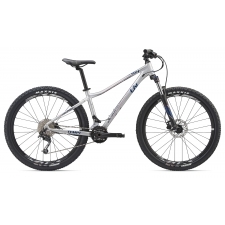 27.5 WHEELS Trail bikes are designed with 27.5" wheels because their combination of agility and momentum offers the best possible blend of fast and fun for all riders. 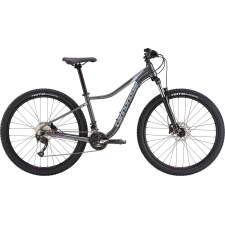 Buy your Cannondale Trail 1 Fem Women's Mountain Bike 2018 from Revel Outdoors.